Perfect for playing! 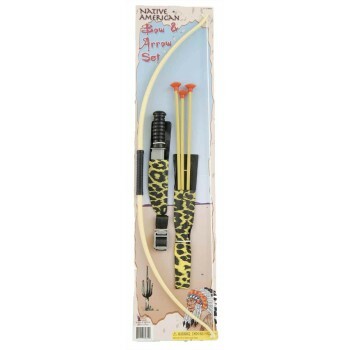 Bow, three arrows with suction cup tips, one hunting knife and one holster for arrows and knife. Plastic.